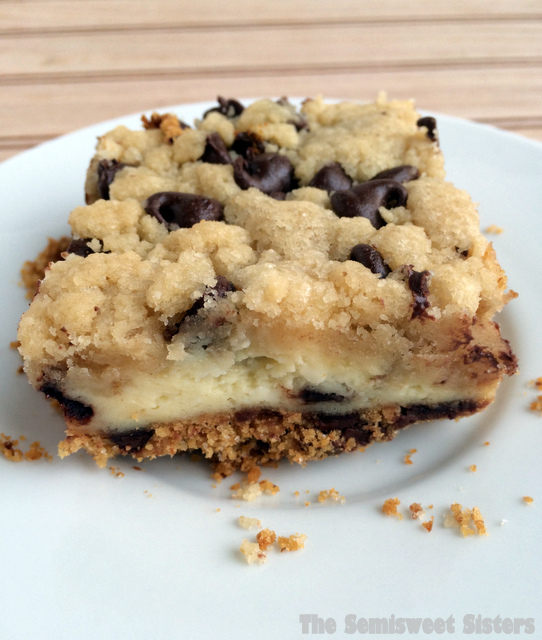 Chocolate Chip Cookie, Cheesecake with Chocolate Chips, and Graham Cracker Crust with Chocolate Chips……. Just tried these out on my husband and he said he loved them! 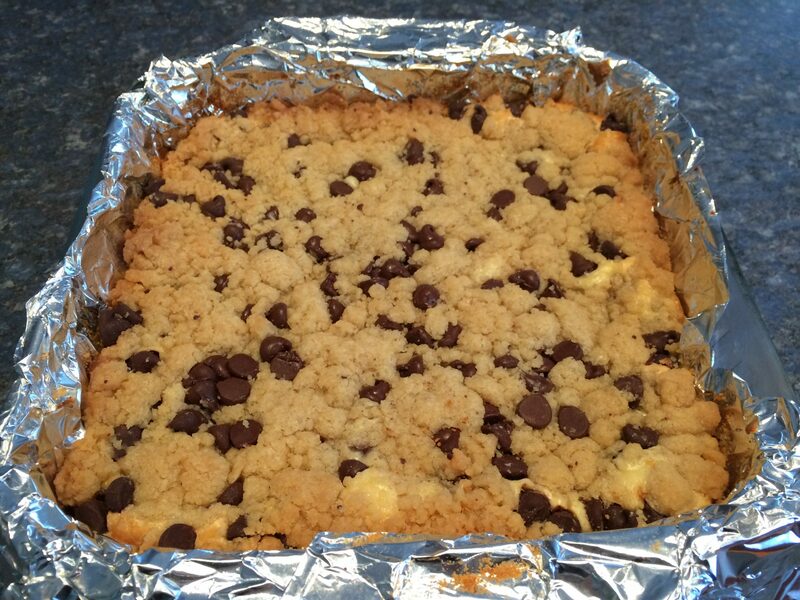 So I asked them how they compare to my Gooey Chocolate Chip Cookie Bars with Chocolate Chip Cookie Dough Frosting (His all time favorite dessert) and he said they were an equal to it. I love hearing stuff like that!! Plus they were pretty easy to make. They did take a long time to cool but other than that I would make these again, often. They took about 3-4 hours to cool in the fridge. I guess I should have just stuck them outside since it’s been about 10 degrees or less here for the last month. I totally have cabin fever, all I dream about is Florida sun. Preheat oven to 325 degrees and line a 9x9 pan with foil. Put nonstick pray on the foil. 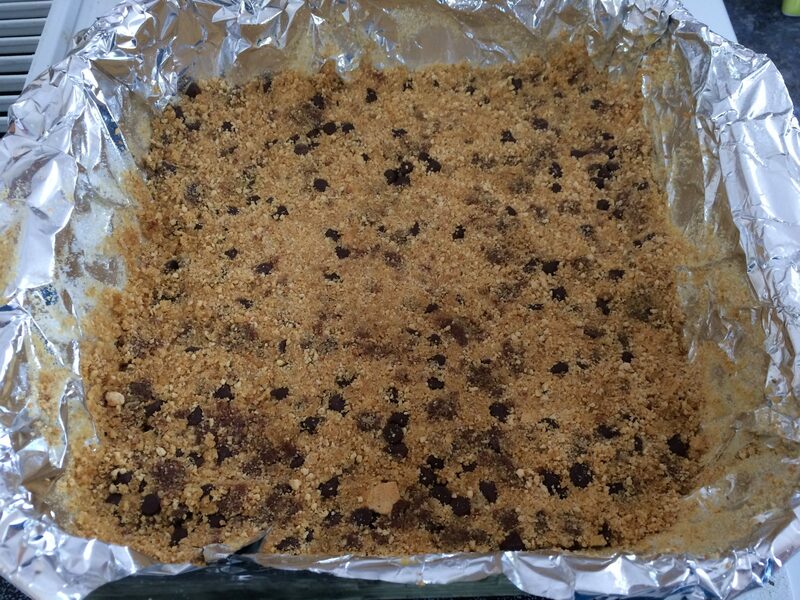 Mix together graham cracker crumbs, 4T butter, sugar and ½ cup chocolate chips and press into pan. Cook mixture for 5 mins. In medium bowl mix 5T butter, brown sugar, sugar, salt, vanilla, and flour together. 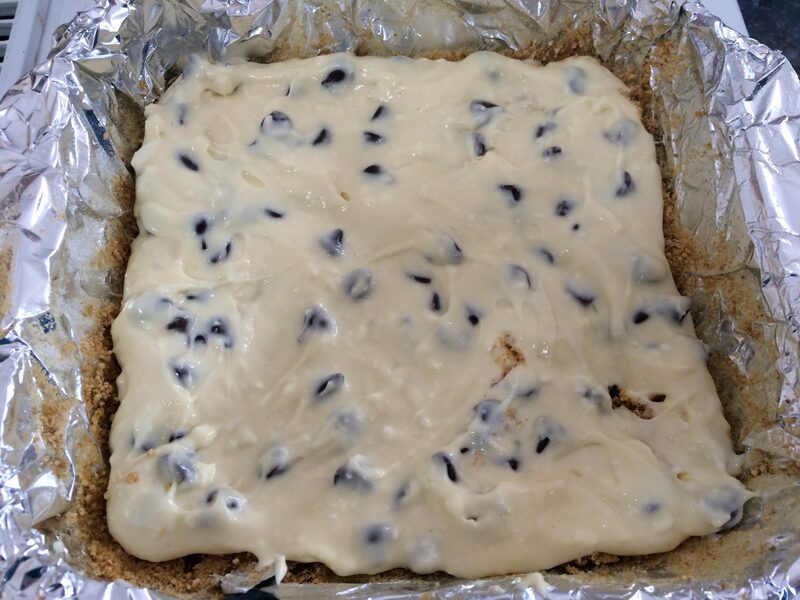 Then add ¾ C chocolate chips. Set aside. In another bowl mix creams cheese, sugar, egg and vanilla together on medium speed until smooth. Stir in chocolate chips. Add the cream cheese mixture over the top of the graham crumbs. 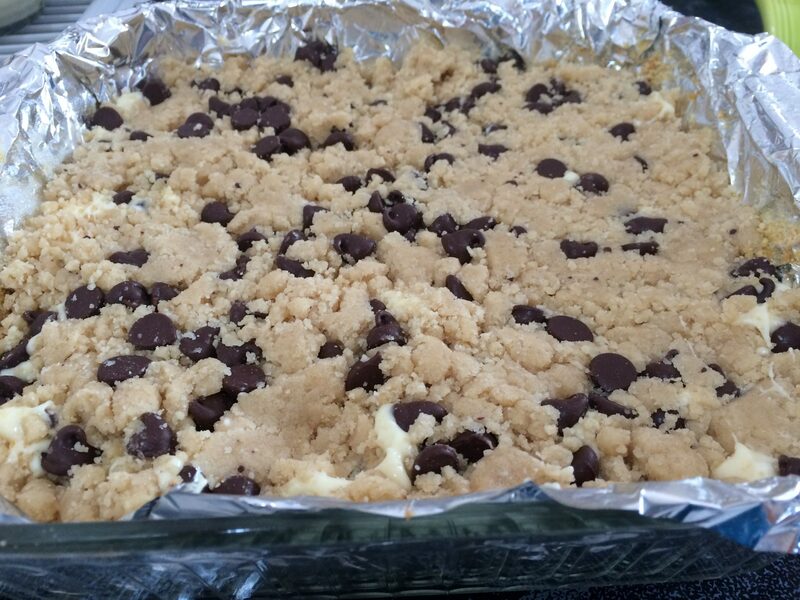 Then add the cookie dough on top of that. Press cookie mixture down. Bake for 30-35 mins. Chill until cool. 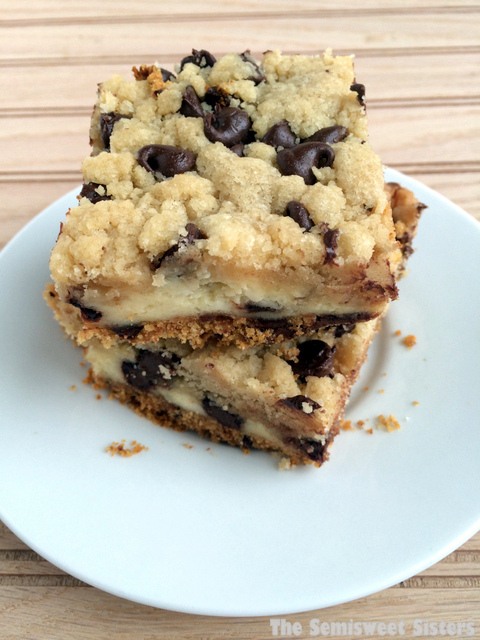 Bars are the best treats especially when they have awesome layers!